Alex Guillamont, lead partner for Kennedys in Latin America and the Caribbean, summarises current issues in the LatAm (re)insurance market. Latin America is a fast developing (re)insurance market. Wealth accumulation is increasing among the 415m people in the region, and with this prosperity comes the need for life and non-life insurance. With local regulators relaxing laws concerning foreign participation and investment into some countries, the region is attracting the attention of global (re)insurance companies and advisers keen to unlock potential growth and gain valuable business and professional experience. The SUSEP rules for the reinsurance industry operating in Brazil. We look at each of these in turn below. The system of exchange controls in Venezuela has been in effect for over 12 years. Since 2003, when the exchange control came into effect, the process of obtaining foreign currency from the Venezuelan Central Bank (BCV) has turned more cumbersome by the day. This situation has been aggravated by the Venezuelan government not having the capacity to provide the sums of US currency demanded by the private sector. Currently, there are three so-called “official” exchange rates coexisting in Venezuela. The general exchange rate is USD1/Bolivar6.30. The other two exchange rates apply only under exceptional circumstances and result from (i) bids made to the BCV in auctions where participants are exclusively companies (SICAD I) and (ii) auctions, in which bidders and buyers exchange offers (SIMADI). SICAD I and SIMADI are systems for the acquisition of foreign currency as well as indicators of floating exchange rates of reference. Difficulties in accessing foreign currency through the BCV have also affected the insurance market in Venezuela. Presently, it is common for local cedants to struggle making premium payments to reinsurers abroad on a timely manner, due to the length of the process of purchasing foreign currency from the BCV and, in some cases, the rejection of the purchase application. The above needs considering when underwriting in Venezuela and establishing the terms and conditions for the payment of premiums by the local cedants under reinsurance contracts. Exchange rates in Venezuela are only applicable to the purchase of foreign currency from the BCV. There is no specific regulation on the exchange rate for payments to be made outside Venezuela. Therefore, it is possible for the parties (reinsurers and local cedants) to agree on an exchange rate that is more realistic compared to the actual value of the Bolivar, whose amount may derive, for example, from the average of SICAD I and SIMADI exchange rates. Another alternative would be to use, as reference, the highest rate of all the exchange rates applicable in Venezuela upon the time of payment. When payments are made from abroad to Venezuela, foreign currencies may be exchanged through the SIMADI system. However, other ways to exchange foreign currency may work more favourably. In Chile, there are new rules on adjusters and setting forth the Procedure Applicable to the Claim’s Handling DS1055 (June 2013), there is a new Insurance Contract Law Nº 20667 (December 2013) and also new regulations issued by the regulator, Superintendencia de Valores y Seguros (SVS), including NGC 353 Regulating Insurance Policies, NCG 349 Registry of Policies, Circ 2114 Regulating Premium and information duties and new wording of all the texts of policies registered with the SVS. Currently, claims handling in Chile is a highly regulated activity and only registered adjusters can adjust claims. The infringement of this prohibition is punished by law and the SVS is responsible for the establishment and administration of the registry of authorized adjusters. The new law establishes that in the construction and interpretation of the reinsurance contract, the international custom and contractual practices are to be taken into account and in cases of doubts and ambiguities in Insurance Contracts, the interpretation more favourable to the insured shall prevail. An update on limitation period for claims under insurance contracts must consider that the legal position to date is that an insured has two years from the date of loss to file a lawsuit against its insurer for non-payment (Article 81 of the Mexican Law on Insurance Contracts). There are two usual ways by which the time bar can be interrupted if: (a) a lawsuit is filed or (b) if the insurer accepts liability – other or under Art 84. the appointment of “perito” – not an expert adjuster. There has been a recent and monumental shift in Mexican legal doctrine away from Civil Code (Roman law) jurisdictions black letter law interpretation principles of equity, i.e. judged using discretion to issue “fair” rather than purely “legal” decisions. An important take away for the insurance industry could be: Do not abandon time bar defence under Article 81, but understand that judges have more leeway and may not accept such a defence, especially if adjustment is still ongoing. In Peru, it is important to highlight that Article 74 of the Insurance Contract Law provides that a claim should be paid to the insured or its beneficiaries within 30 days following the acceptance of the claim by the insurer. According to the law, the acceptance of a claim depends on whether the claim is adjusted in-house or externally by an independent adjuster or not, and the 30 day period will not run until the insured accepts and signs the final adjustment report. Regarding the adjusted in-house claims, the insurer has 30 days from the date of delivery of the complete documentation required under the policy to accept or reject cover. If the insurer requires any further documentation, he must request it within the first 20 days after receiving all required documentation. The insurer may request an extension to the SBS (regulator), but if the SBS denies such motion, and the insurer fails to state whether the loss will be covered or not in the aforementioned 30 days, the claim is considered as accepted by the insurer. It is always relevant to consider that arbitration is the most efficient and fastest dispute resolution method in Peru. This summer, a resolution was passed allowing the effect of gradually diminishing the market share that cedants must first offer to local reinsurers. Many regard the regulation as a positive step in the right direction, as the Brazilian market learns to live with true competition and foreign investment. Currently, only admitted and occasional reinsurers can get 60% of the risk. As of 1 January 2017, this will increase to 70% and rise 5% annually to a maximum 85% from 1 January 2020. The intra-group retrocession percentage allowed for (re)insurance groups headquartered abroad also increases, provided they have admitted or occasional reinsurance status in Brazil, from the current 20%, to 30% in 2017; 45% in 2018; 60% in 2019; and 75% in 2020. Some say these changes, while welcomed by admitted and occasional reinsurers, may cause smaller local reinsurers to reconsider their status. However, at a time when the Brazilian Real is rapidly devaluating, it may not pay off to pull reserves out of Brazil for a while. There are international (re)insurance groups which trade in Brazil with all three local, admitted, and occasional status, on which the currency risk will be less obvious, and who will welcome the new measures as they will have more flexibility to trade. Kennedys’ Latin America & Caribbean office is based in Miami to help international insurers and reinsurers manage claims and non-contentious issues across the region. Our dedicated multilingual team is well placed to support our clients, and we also draw on the skills and experience of Kennedys globally. After being recognized as the market’s choice in 2013 and 2014 Kennedys Latin America has once again been voted by industry leaders as Best Latin America (re) insurance law firm for 2015 by Reactions Magazine. The award presented by Reactions Magazine honors institutions and individuals who have achieved marked excellence in their profession with unique insight into the direction of growth and key developments in the Latin America (re) insurance market. 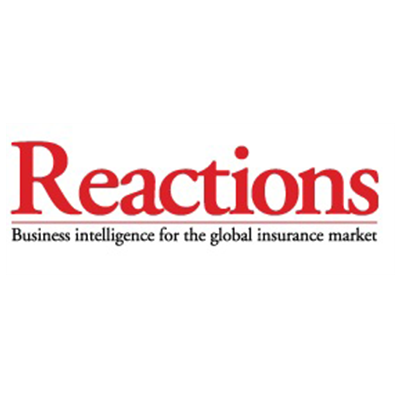 The Latin America (re) insurance awards presented by Reactions are decided through an anonymous, online market survey which is completed by their readership. Also recently, Alex Guillamont, Kennedys LATAM director, has again been voted into the LatAm Insurance Review’s Power 50 list. The Power 50 list is a snapshot of the most influential professionals in the Latin American insurance sector driving the development of the LatAm market. LatAm Insurance Review readers select the leading industry leaders across the whole risk transfer chain, from underwriters to lawyers, who demonstrate innovation, passion and service excellence. This entry was posted in (re) Insurance articles Latin America and tagged Exchange controls in Venezuela, Insurance challenges Latin America, Insurance law Mexico, Insurance Lawyers Chile, Insurance Lawyers Latin America, Insurance lawyers Peru, New Insurance Contracts Act Chile, New Insurance Contracts Act Mexico. Bookmark the permalink.